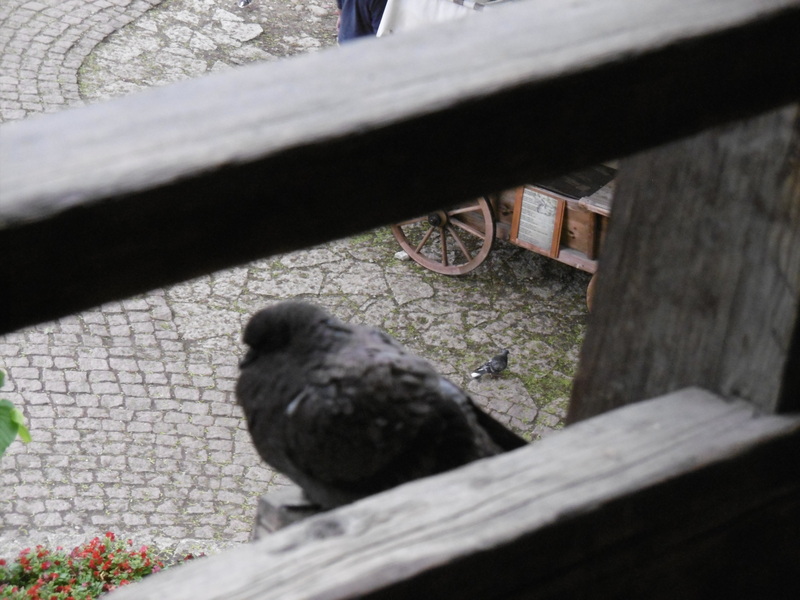 Since you are putting up with me getting a bee in my bonnet about academic culture, how about these nice birds on the medieval city wall of Tallinn, Estonia? Comments there and on his blog are closed, so I will comment here. Due to my profession, I spend a lot of time talking to people in classics, ancient history, Assyriology, philology, etc. And I have never heard anyone in that field dismiss a work because of where it was published, or suggest that it should be taken seriously because of where it was published. I have not heard that kind of trash from the most nervous young researcher putting others down to hide their own fear, or the grumpiest professor who wishes that he (its usually a he) had picked another trade. I have read someone young writing “come on, have you heard of one good $type_of_researcher from $country?” (I prefer not to boast of my sloth and ignorance, but I guess that sort of thing makes him happy). Online I see disputes about whether certain books were really peer-reviewed, although face-to-face we focus on the contents. And I have heard gossip about the process of publishing in a certain journal which is very determinedly pre-digital. Both face-to-face and online, I very often hear criticism of publishing with famous presses which charge great sums for books and provide minimal services to authors such as copyediting (the term Rauber gets thrown around). And of course we gossip about authors, their odd behaviour and eccentric ideas, because we are human beings. But in my field, we don’t try to set up a hierarchy of journals from good to bad, and we criticize works because of their contents and methods, not where they were printed. In the study which Quiggin responded to, scholars were asked to evaluate a researcher using a list of publications which included either just a few publications in famous journals, or more publications in less-famous journals. When people ask me to evaluate other scholars, the questions which I ask myself are “have I read their work? What are its strengths and weaknesses?” and “have I heard of their work? What do people say about it?” (In other words, we talk about our fellow craftsmen and their work just like cartoonists or bronzesmiths do … I work words instead of cloth or numbers for my living, but it is just a trade like any other). I am more likely to have heard of something from a famous press with good marketing, but in our field some of the key works are by little presses in mainland Europe which survive by having everyone in the field order their books for their library. So I am a bit confused by what the economists were asked to do, and wonder whether the study might simply show that if you force people to create an arbitrary hierarchy, they will give arbitrary results (or that given a long unsorted list, people find it difficult to pick out the salient facts, or that people find it difficult to compare individuals to populations … nothing too surprising if you follow research in the social sciences). Spending all this time in graduate school may or may not make economic sense. But I am proud to be part of the community of scholars studying the ancient world. While we are not perfect, I think that we do as well at evaluating work on its contents as mere human beings can do.